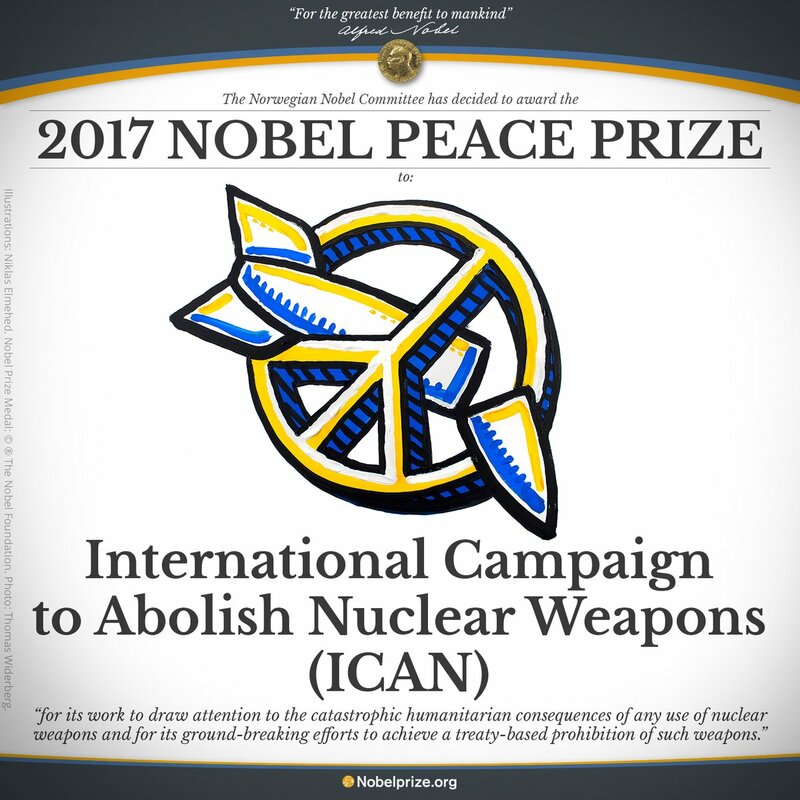 The announcement on 6 October that the 2017 Nobel Prize for Peace has been awarded to the International Campaign to Abolish Nuclear Weapons (ICAN) affirms the humanitarian disarmament as the best way for dealing with weapons of concern. The news comes less than three weeks after the 2017 Treaty on the Prohibition of Nuclear Weapons opened for signature at the United Nations in New York. Humanitarian disarmament aims to prevent and alleviate human suffering. It approach differs significantly from other arms control and non-proliferation efforts, which are primarily driven by national security interests. Humanitarian disarmament seeks to strengthen international humanitarian and human rights law to better protect civilians from suffering during and after armed conflict. Forged by the International Campaign to Ban Landmines (ICBL), recipient of the 1997 Nobel Peace Prize together with its then-coordinator Jody Williams for their work to bring about the 1997 Mine Ban Treaty, humanitarian disarmament has come to characterize efforts that aim reduce harm to civilians in warfare by addressing specific weapons of concern. ICAN members and other global NGO coalitions celebrated the Nobel Peace Prize at the Humanitarian Disarmament Forum on 13-15 October, which was convened by Harvard Law School’s International Human Rights Law Clinic, Human Rights Watch, and PAX. The Forum has been held annually each October since Human Rights Watch convened the first Humanitarian Disarmament Campaigns Summit in 2012 on the 20th anniversary of the creation of the International Campaign to Ban Landmines.